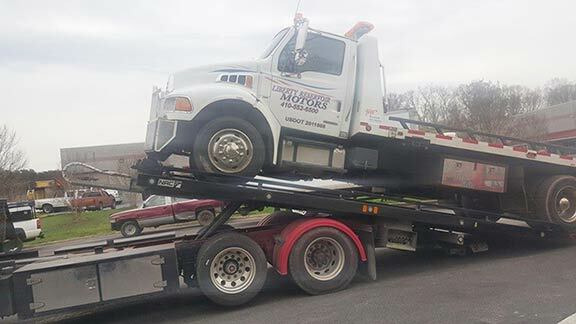 We are prepared to handle any heavy duty towing situation in Carroll County, Baltimore County, MD through Hanover, PA. With some of the strongest tow trucks in the area and full recovery equipment you can depend on Buzzy Shamer Towing for safe, quick and professional towing. Our expert recovery team is staffed and trained with a 24 hr flatbed tow truck available. 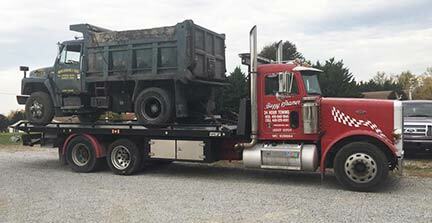 Need Heavy Truck Towing in Westminster, Finksburg, Eldersburg, Hampstead, Mt Airy - Carroll County MD? With one of the strongest tow trucks in Carroll County, MD you can feel confident Buzzy Shamer Towing can provide safe, quick and professional towing for your heavy duty towing needs. 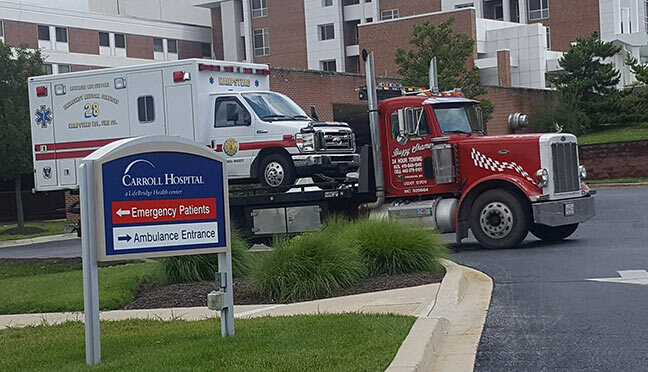 Our tow trucks provide heavy duty towing everyday in Baltimore County and Baltimore, MD. Buzzy Shamer Towing can provide safe, quick and professional towing for your heavy duty towing needs.